Iloilo is a province in Region VI or Western Visayas. It occupies the southeast portion of Panay Island and has a population of 1, 805, 576 according to 2010 census excluding the population of Iloilo City. Iloilo started from a settlement called Irong-Irong founded by Datu Paiburong. Former people of the place are called Tumao and their dresses indicate their social status. The more colorful the dresses are, the more socially significant they are. In short, the clothing people wear before are indication of their wealth. This province has a land area of 5, 079.17 square kilometer with one component and one independent city. 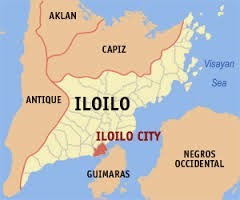 Its capital is Iloilo city and it was founded in 1566. Going to Iloilo will take you on a journey back to the Spanish era because Spanish architecture is seen on buildings on downtown Iloilo. The first merchants who came to this place before the Spaniards are the Indonesians and Chinese merchants. There are so many places to go in Iloilo. You can visit the Miagao Church if you would like to see structures of old churches of centuries old. Miagao Church is already considered as a world heritage site. Other churches that you can visit are the Cabatuan Church, San Jose Church, Passi City Church, Molo Church and many more. It only shows that this place was once a religious center of the island. If you would like to go to Iloilo, you have to learn Hiligaynon (though it is not compulsory) in order to talk to the natives. You can try eating their delicacies like pinasugbo, piaya, and the famous La Paz batchoy. Ilonggos are known for being soft-spoken and it only shows that you will not have a hard time dealing with them. When you travel to Iloilo, you can also try visiting their beaches since you can find lots of them. The Panay Island is composed of several provinces like Antique, Aklan and Capiz. Travelling to Iloilo from Manila is by land and by sea. You can book now for your flight or sea travel. RO-RO ships are also available from a specific place of origin.